World No. 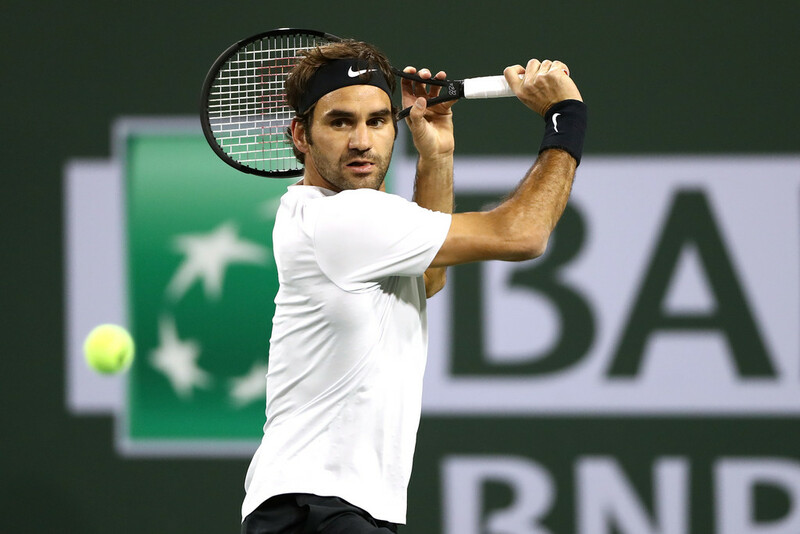 1 Roger Federer equalled his best start to a season to stay on course for a sixth Indian Wells title. Federer booked his semi-final spot and extended his season win streak to 16 straight matches with a 7-5, 6-1 victory over South Korea's Hyeon Chung on Thursday. The last time Federer started 16-0 unbeaten streak was 12 years ago in 2006. Switzerland's Federer recalls parts of that streak but not all the tournaments he played in to get there. "Twelve years ago, a long time ago. I don't know. What was I doing back then?" he asked. "I don't even remember what tournament I played first up and won. "I guess I had a similar good start to the year. Back then I was on this massive streak of winning 40-plus matches. It had already started the year before that, which this time it didn't. I had to get it going again in Australia. "It's a great start. Hopefully I can do one more and beat my best streak on Saturday." It was Federer's second win against the 21-year-old Chung this season, and they had a crowd of all-time greats watching. Tennis legends Rod Laver and Pete Sampras looked on, as did Bill Gates, Federer's philanthropic partner, and actor Will Ferrell. Thursday's quarter-final was more competitive than Federer and Chung's Australian Open semi-final, which Chung aborted down 1-6, 2-5 because of blisters. But the reigning Next Gen ATP Finals champion, like everyone else on the ATP World Tour this year, had no lasting answer for the five-time BNP Paribas Open champion, who improved to 11-1 in Indian Wells quarter-finals. By making the semi-finals, the Swiss right-hander guaranteed himself another two weeks at No. 1 in the ATP Rankings and will extend his record reign to 308 weeks. Federer will next meet Croatia's Borna Coric, who reached his maiden ATP World Tour Masters 1000 semi-final by beating Kevin Anderson of South Africa 2-6, 6-4, 7-6 (3) earlier Thursday. Federer won their lone ATP Head to Head matchup, a 6-2, 6-1 rout at the 2015 Dubai Duty Free Tennis Championships. Federer, just as he had done in Melbourne, jumped out to an early lead against Chung, who was playing in his first Masters 1000 quarter-final. The top seed broke in the second game and led 3-0. But Chung grew more comfortable under the lights against Federer, and the South Korean broke back for 3-3. From there, however, Federer didn't let up, mixing slice with power to break Chung in the 12th game and, in the second set, winning six of seven games to advance. The 36-year-old finished with 32 winners compared to eight from Chung. "I'm happy I found a way. Started off really well, struggled afterwards, found my game back again and was able to protect it, saving big break points early on in the second set. I think that was the key to the match, those 10 to 15 minutes where I broke at the end of the first and then saved break points early in the second,” Federer said. “I'm very happy. It was a good match. I played well." The 21-year-old Chung was upbeat about his Indian Wells run. On Monday, he will become the highest-ranked Asian player in the ATP Rankings, surpassing Japan's Kei Nishikori. Chung is projected to rise to a new career-high of No. 23.